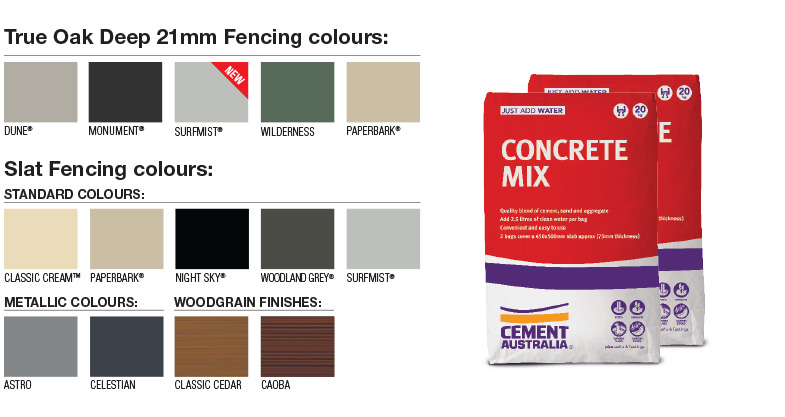 Cement yourself as a True Oak and Slat Fencing Champion free concrete during December. 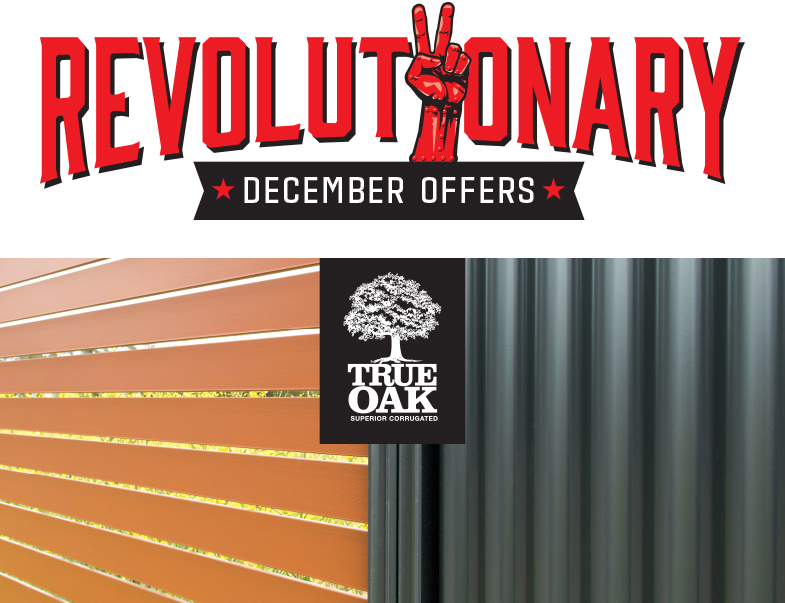 FOR EVERY ORDER OF TRUE OAK DEEP 21MM* OR SLAT FENCING, WE’LL THROW IN FREE CONCRETE. FOR A LIMITED TIME. Now there’s literally NO excuse to not get onto True Oak or Slat Fencing. True Oak Deep 21mm for fencing – looks way better than shallow 16mm, is 40% stronger and laps easier. Slat Fencing – easy fix, variable width slats, you choose the gaps, high strength. Much better alternative to aluminium. 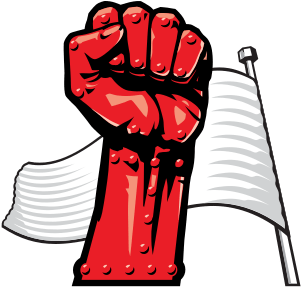 Conditions do apply so read the fine print or talk to your rep. But hurry! *Offer based on whole True Oak Deep 21mm fencing order (ie. 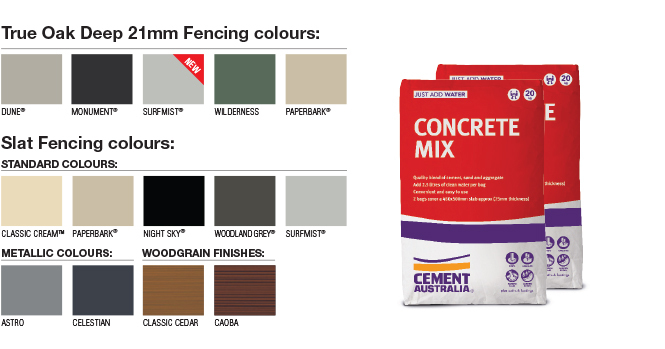 posts, rails and sheets) with a minimum of 10 metres of True Oak Deep 21mm fencing) and is based on two 20kg bags of standard CONCRETE MIX from CEMENT AUSTRALIA, per panel. Offer strictly limited to True Oak Deep 21mm in the colours shown above or slat fencing in all available colours. Concrete will be shipped with the fence order and not separately; any unused concrete cannot be returned for credit. All orders must be marked CONCRETE-TO for True Oak or CONCRETE-SL for Slat Fencing. Based on orders placed between 4 – 22 December 2017. Valid in South Australia only.